THE LEADER IN EARLY CHEVY CAR AND TRUCK CHASSIS! 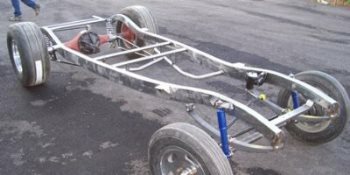 The chassis team at Superior Glass Works specialize in early Chevy car and truck chassis - 1931 to 1948 cars and 1931 to 1954 trucks. We draw upon decades of street rod experience and use the finest components from Kugel Komponents, Heidt’s, TCI, Pete & Jakes, Wilwood, Dutchman and others to create a custom chassis that meets your needs. 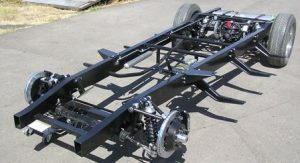 We also build chassis for Ford cars and trucks from Model As through the 1940.